TEKSAVERS is a reseller of used and new IT equipment. 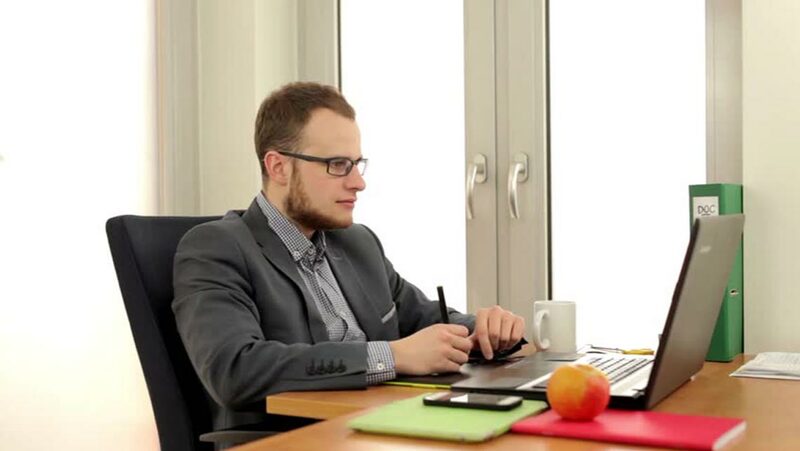 The owner created an application with MS Access for his employees to use for posting, tracking and selling new and used IT equipment their customers were selling or purchasing. The Access application wasn't easy to use. Several Sale people and Buyers abandoned Using It. While others requested the customers have access to the application so they can Post their products instead of Sales and Buyers having to do it. TEKSAVERS needed to redesign their application so it was easy to use and tailored to the users needs instead of the owners. It also needed to be recreated as a web application so it can be accessed and used by customers via the web. 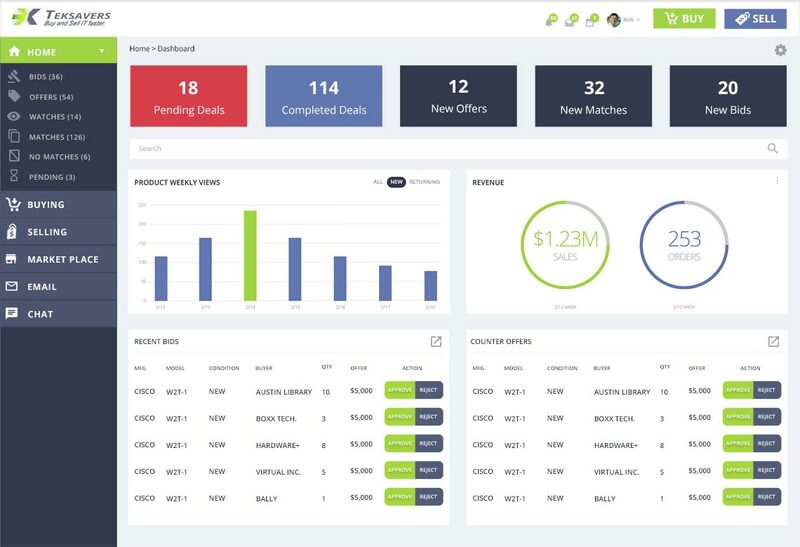 A scaled down mobile application was needed as well for buyers and sellers to check status on their auction items and make quick responses Furthermore, the owners decided repositioning the applicaiton for consumers would benefit the company best. They wanted to compete against eBay in the techniology space. I performed contextual inquiry. I watched employees and customers as they bought and sold as I asked them questions to determine the tasks they typically take. 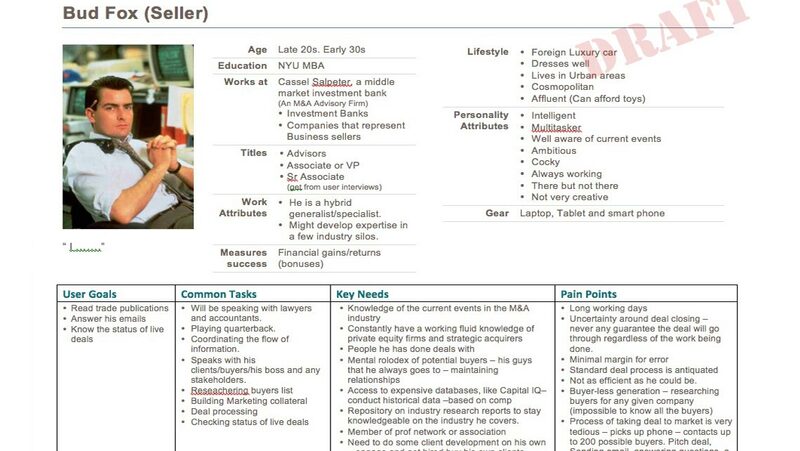 I identified three persona's (Employee, Buyer and Seller) based from my research. 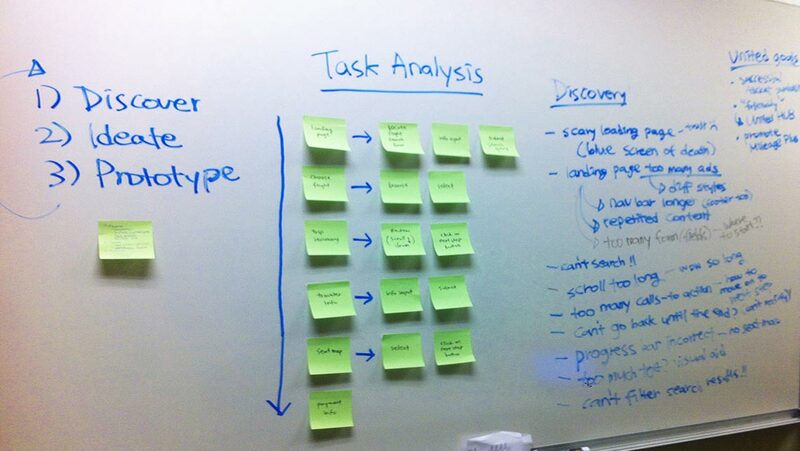 I then created a task analysis per each persona outlining their tasks and subtasks. 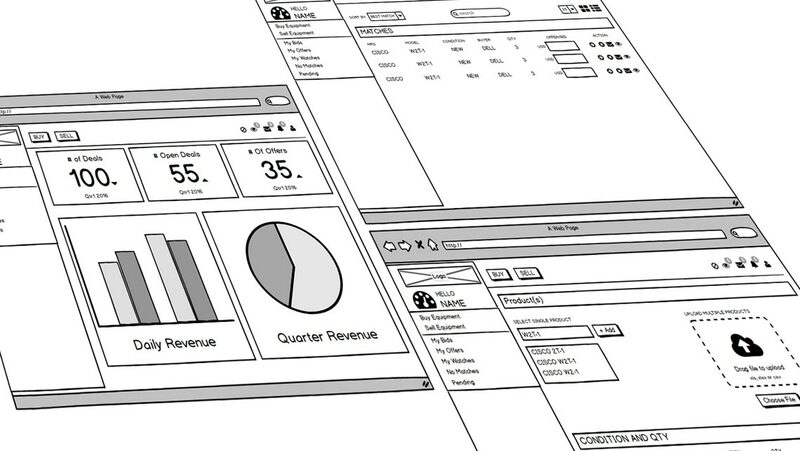 The application needs to be redesign to integrate with the staff and customer's workflow. Furthermore, it needs to be accessible to customers for viewing and postings. 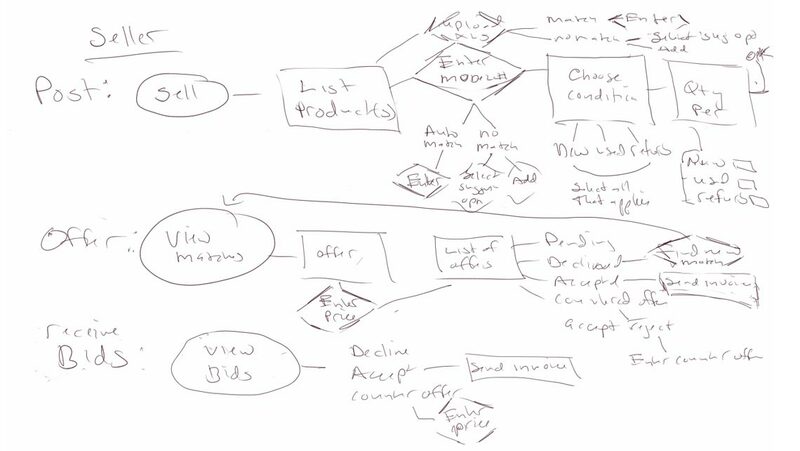 During the kickoff meeting with the Product Manager, Lead Developer, UI Develper, we sketched out the user flow of our three primary personas (employee, buyer and seller) on a whiteboard. 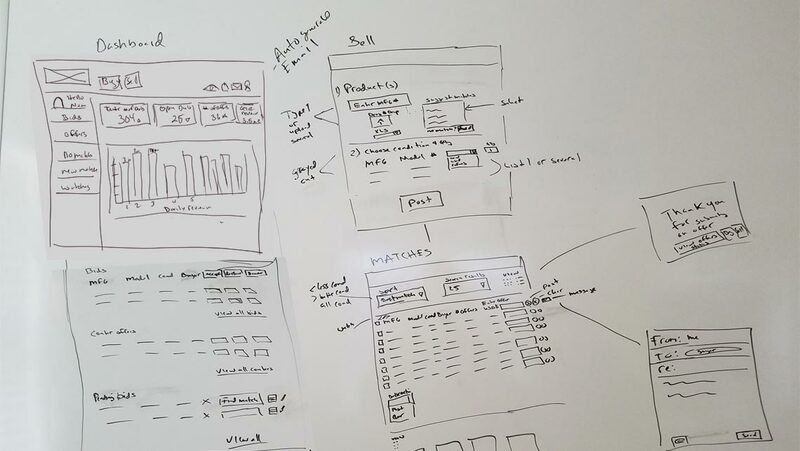 I sketched wireframes on the whiteboard during a collaborative meeting with the CFO, PM, Lead Developer and UI Developer. Then I converted them to low-fidelity clickable prototypes for quick iterative user testing. I conducted a usability study of employees and customers. The goal of the study was to test the prototype and determine if the applications was easy to use, useful and reduced workload. 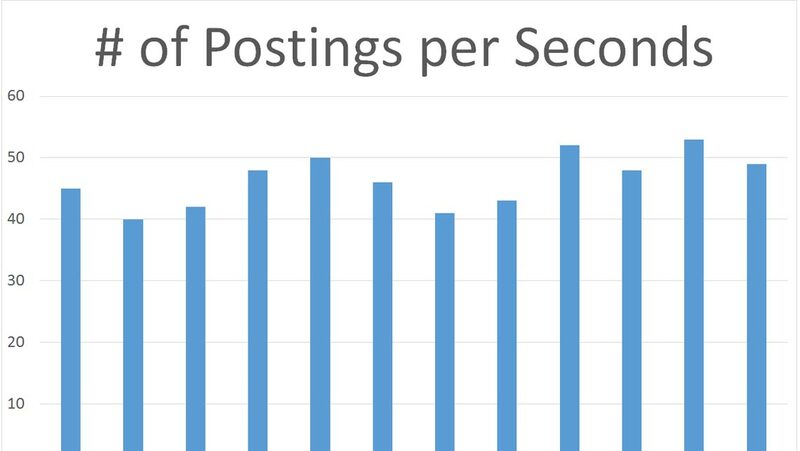 Number of minutes an employee spent managing a customer postings and bids went from 90 min to 15 min. 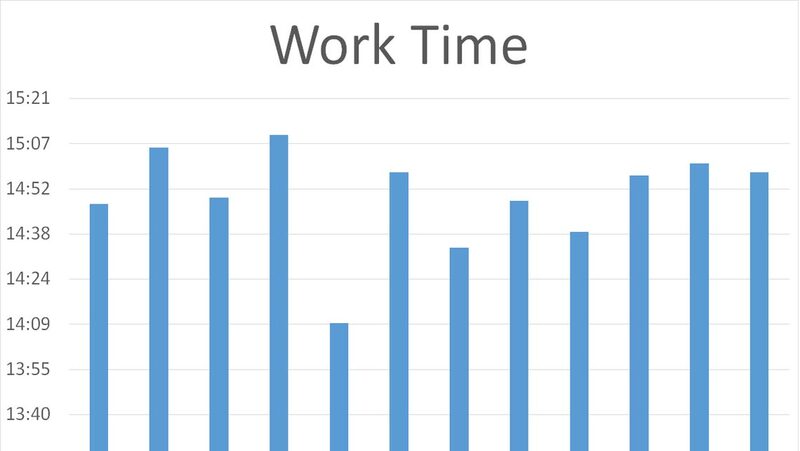 Multiple uploads of posts through an xls file and parsing the data, reduced the time from 30 mins to 45 secs. 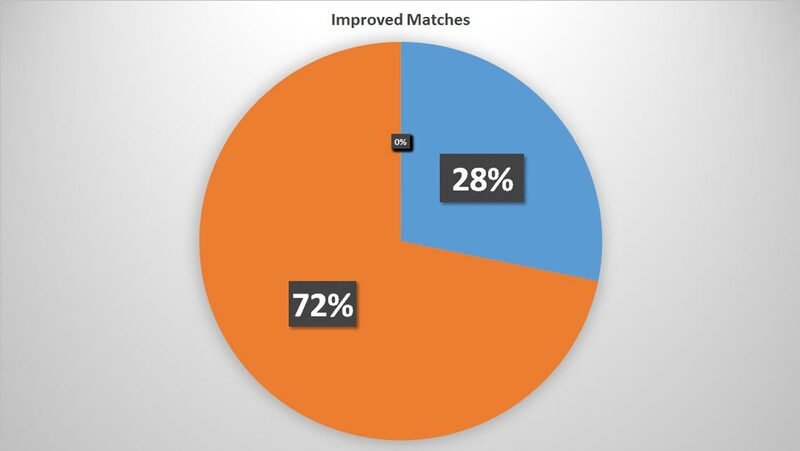 After implementing the new application, the number of matched IT equipment searches increased 44%.